There’s never been a better time for startups! The government is coming up with all kind of policies and incentives to promote ‘Startup India’. There are programs such as Incubator Programs & Accelerator Programs, benefits such as tax exemption, investment funds & easier norms, etc. to foster entrepreneurship and facilitate the establishment of startups. 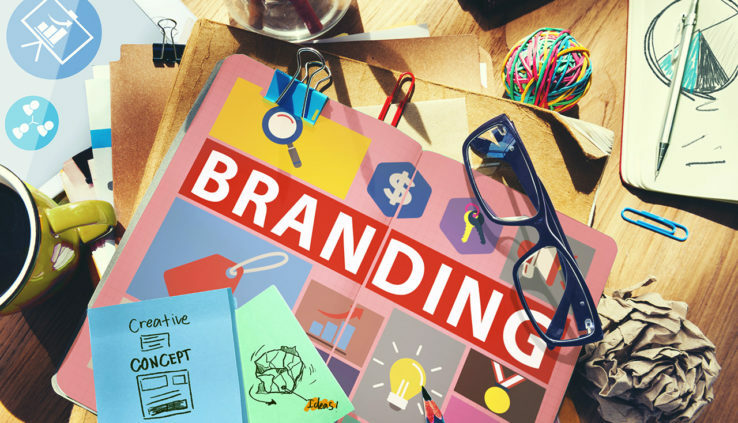 Many startups feel branding is only for large, multinational corporations with large budgets. They feel it’s an expenditure they can hardly afford as resources are limited in the early days, and there are so many other more important things to spend their money on. But branding is just as important for new startups as it is for established corporate players. Branding helps startups focus. It helps you look at, and discuss your product or service objectively. It helps you articulate values, define differentiation and build a communication platform that attracts customers – something that’s getting increasingly difficult to do in the current scenario of unlimited choices and the onslaught of communication via diverse media. Branding is a way of communicating your offering and value to the world; establishing a presence and points of difference that will hopefully urge consumers to try your product, choosing you over others. Finding a good brand name is not easy, and care must be taken to ensure it’s original and unique. There are many different ways to select yours. Your brand name could convey your brand’s position or activity or benefit. It could be an innovative coinage; it could be based on the founder’s name. A smart way to find your ideal brand name would be to shortlist a few names and evaluate them based on ease of reading & pronounciation, relevance and originality. Then, a trademark search to check it’s not already taken. Last but not least, a little market research to check what your target audience thinks of it: do they like the sound of it, does it give positive vibes, does it convey what you want it to. Once you’ve homed in on a name, a positioning slogan is the next challenge. Again, market research and analysis is essential. Make your positioning brief, make it eloquent, and make it relevant. And make sure it’s not owned by anyone else. It’s advisable to hire a creative graphic design agency to help you with logo design. The agency will address issues such as choice of the right colours, recognisable shapes, customised fonts, colour palette, etc. which all add up to a memorable logo. Later, test the logo design for relevance, uniqueness, legibility in print, package & online, appropriateness for the TG, local culture, etc. In the internet age, no company or brand can survive without a website. To ensure your business is visible online, it’s essential that your website address ties in with your brand name. Infact, if the url is not available, you might need to re-think your name. Then, you need website design customised for your needs and optimised for good user experience. It should be a fine balance of functionality and design; showcase your brand, products, strengths, and values. It should provide an experience that makes visitors want to stay on your site and recommend it to others. Studies have shown that most people believe their business is ‘out of touch’ if it’s not using social media; and although social networks are used for social interaction, they are proving to be powerful marketing tools too. Startups need a well-rounded, well-planned promotional strategy that blends various media in an optimal mix, keeping in mind the product, the customer profile, and of course, the budget. A multidimensional approach is required, with messaging and design that conveys real value while it captures attention. Digital marketing, marketing collateral, and advertising – all avenues must be carefully considered and appropriate communication created but in a cohesive, consistent way so as to build brand identity and brand recall. To create a brand that endures, value and brand strategy must be built on a solid foundation of Research and Analysis. At the same time, for SMEs, only essentials are needed to start this exercise. B2B companies need to be aware that direct marketing’s effectiveness needs a strong foundation of well-planned Branding. A thorough study of the market, customer, competition, etc. and even your own offering will help arrive at a value proposition that is relevant and different. Based on this, you can craft your brand strategy and brand identity. Brand identity is the sum of all tangible (logo, typography, product features, pricing, name, color, slogan, packaging, etc.) and intangible (company culture, attitude, tone, communication style, etc.) elements of your brand. Interics Designs is a full-service Brand Communication Agency in India – a strategy consultancy, graphic design house and communication agency that helps startups and SMEs translate their business objectives into a brand strategy, which is distinctive, compelling, relevant and measurable. Interics’ Frugal Branding TM is a special package for startups and SMEs that optimizes cost-effectiveness, deliverables, and timelines to get you started. It’s tailored for tight budgets and gives new companies a chance to work with experienced branding strategists and designers who understand the challenges new businesses face. Using our skills and experience in Research, Strategy, and Design. Frugal Branding TM covers all the elements that startups need in their launch or developmental stage: brand naming, corporate/brand identity, brand applications, and basic guidelines to maintain consistency and relevance across touch points – today and into the future.